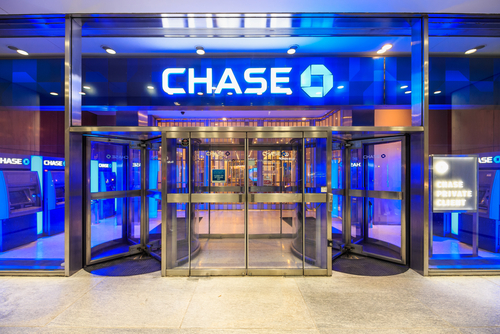 JPMorgan Chase & Co. (NYSE:JPM) reported its first quarter financial results and topped analysts’ estimates in both earnings and revenue, sending shares 1.5 percent higher during Friday’s pre-market hours. For the first quarter, JPMorgan reported revenue of $8.7 billion, increasing 10.3 percent year over year, and beating analysts’ estimates by $860 million. Quarterly profit rose to $8.7 billion or $2.37 a share from $6.45 billion or $1.65, year over year. Analysts had called for estimates of $2.28 per share. JPMorgan’s Corporate & Investment banking (CIB) segment reported net income of $4.0 billion, increasing 23 percent year over year. Net revenue was $10.5 billion, increasing 9 percent. The firm reported banking revenue of $3.0 billion, down 3 percent. Investment banking revenue was $1.6 billion, down 7 percent, driven by lower debt and equity underwriting fees. Markets & investor services revenue was $7.5 billion, up 15 percent. The bank maintained the number one ranking for Global Investment Banking fees with 8.1 percent wall share in the first quarter. JPMorgan’s consumer & business banking net revenue was $5.7 billion, up 17 percent. Client investment assets rose to $276 billion, up 13 percent with record net flows in the quarter. Credit card sales volume increased by 12 percent, as merchant processing volume increased by 15 percent. Equity market revenue was $2 billion. Treasury services revenue was up 14 percent and securities services revenue was up 16 percent. JPMorgan’s asset & wealth management segment reported revenue of $3.5 billion, increasing by 7 percent. The segment was driven by higher management fees on growth in assets under management and strong banking results. The firm reported $2.0 trillion in assets under management, increasing by 10 percent. “2018 is off to a good start with our businesses performing well across the board, driving strong top-line growth and building on the momentum from last year.” said Jamie Dimon, Chairman and CEO. JPMorgan’s first quarter results were helped by lower income tax rates and the firm’s new adoption of regulations and rule. For 2018, JPMorgan forecasts an effective income tax rate of 20 percent. Net interest income is forecasted to be between $54 billion and $55 billion.